Do you bento? I'm crazy for bento lunches! Remember this post last year? Since many of us are in back to school mode, I thought it would be the perfect time to share some bento goodies with you again. There are some really, really talented bento "artists" out there. I am not one of them. However, I try to make lunch fun for the boys. I'm a big fan of the silicone baking cups and lunch punch products. Even cookie cutters can make a simple slice of cheese more fun. Luke is eating mostly at school now so I'm down to making just one lunch. (Queue the tears!) Oh well, there's always breakfast and snack time to get creative. How fun would it be to wake up/come home to one of these little plates? I think this may be my new favorite blog! Seriously amazing stuff here. Want to see what my kids really eat? Check out and follow my board on Pinterest titled, "My Kids Eat." 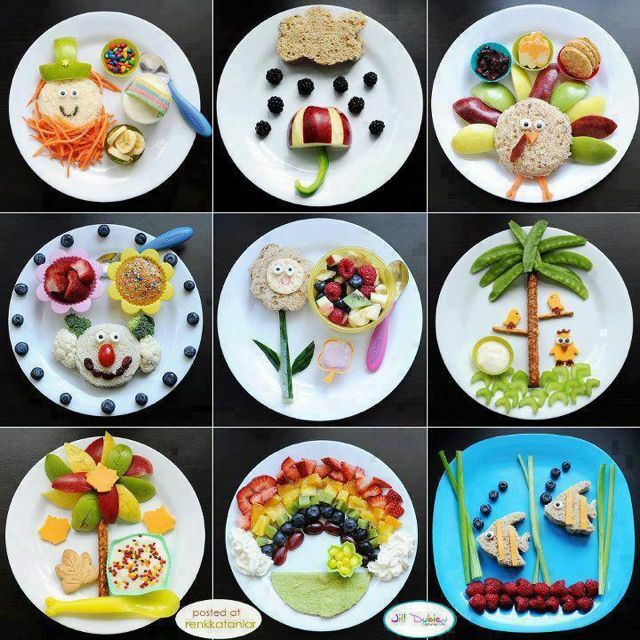 Who says playing with your food is a bad thing?